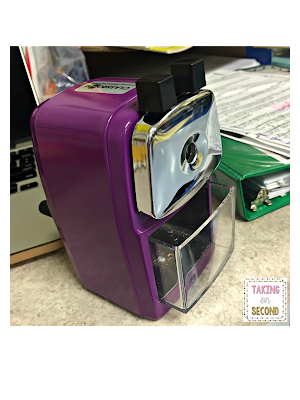 The Quietest Pencil Sharpener: New Color!! 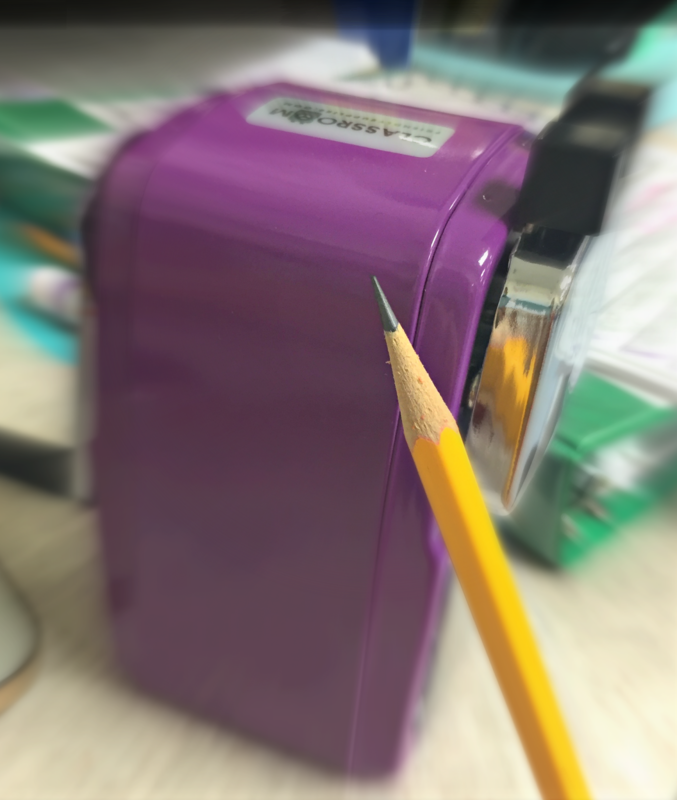 Popular Purple is the newest color for the #quietestsharpener! First of all, this color is amazing! It's bright, vibrant, and absolutely amazing! The next thing to do after checking the new color is USE IT!! 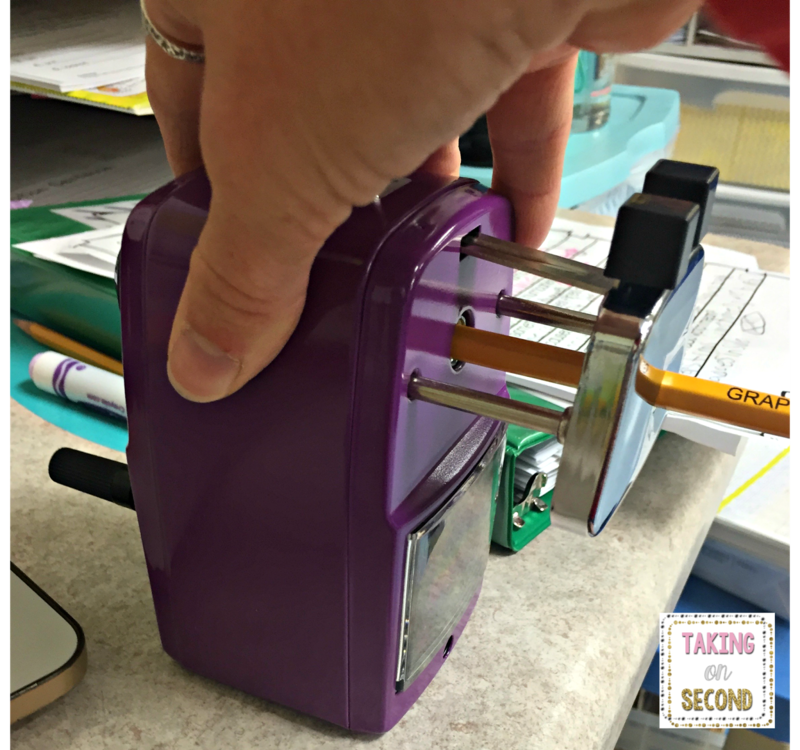 To sharpen the pencil, you have to squeeze the two black pieces together and pull the metal pencil holder out. 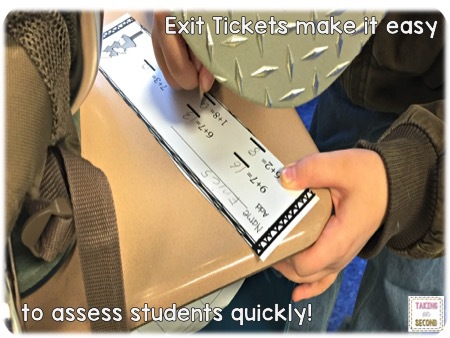 Stick the pencil in, and you are ready to go! There are two options to sharpen the pencil. 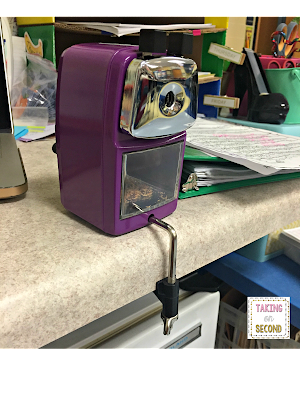 You can hold the sharpener yourself, or there is a kickstand that can hold the pencil sharpener. I find that holding it yourself is the best way to get a good sharpen each time. The kickstand really does not work well. 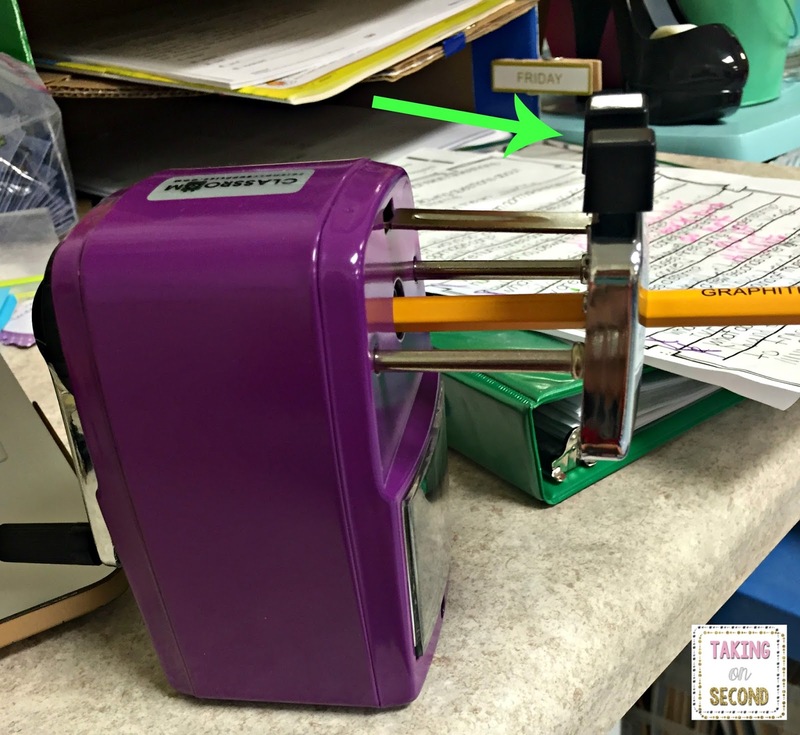 It also is difficult for the younger kiddos to sharpen pencils using the kickstand. They also have a hard time holding it and sharpening the pencil at the same time. I usually do not let my students sharpen pencils in my electronic pencil sharpener, so this would be no different!The nut tightens so you can use several different types of surface thicknesses. I also found out that you can't tighten it too much or it will go sideways. The sharpener is made to be portable! Look at that sharp points! 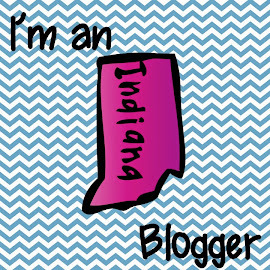 I feel like the ISTEP (Indiana's standardized test) officials would be smiling at the sight of this point! 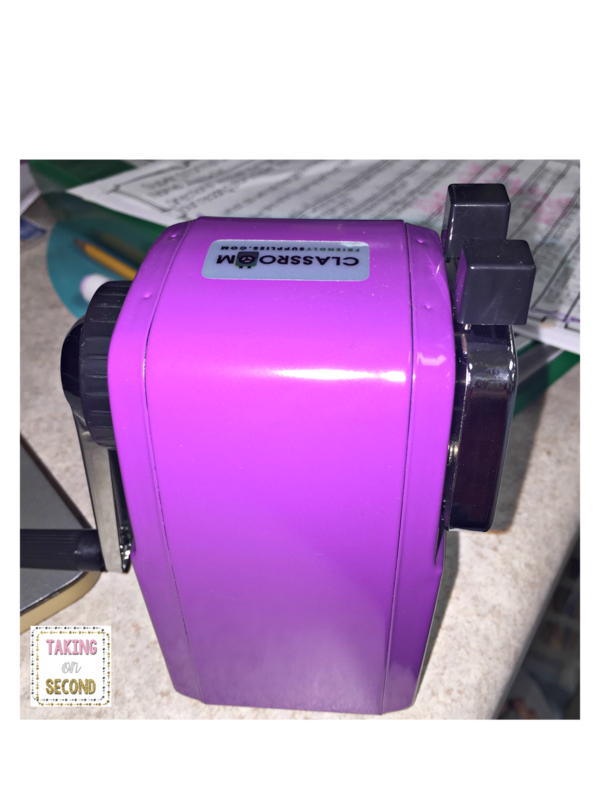 -QUIET- this sharpener is way quieter than the old crank one and my electric one. - The shavings holder is tighter than it use to be! This makes it practically impossible for the tray to pop out unless you want it to! - Not very stable unless you buy the permanent mount. I'm sure you could use Velcro or a strong glue to fix this also. - Super sharp pencil- I did one for a student and then he kept pointing it at another student's face. This made me very nervous because it was so super sharp. 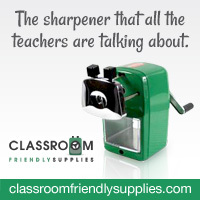 Check out the sharpener in action! I would 100% recommend this sharpener to you. Whether you let your students sharpen their own pencils or not, it is always nice to have a super sharp pencil. 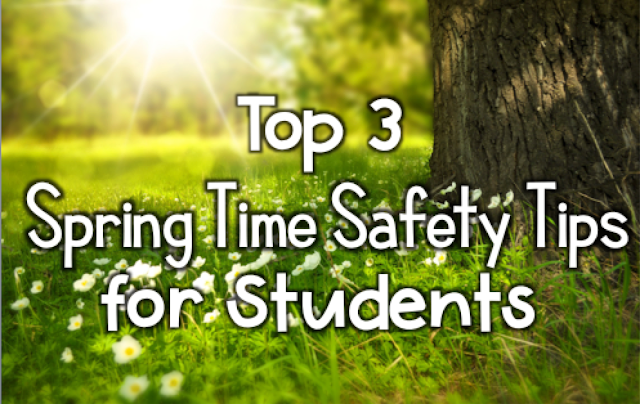 They are also great during test time when you need to quietly sharpen pencils as to not distract everyone else. 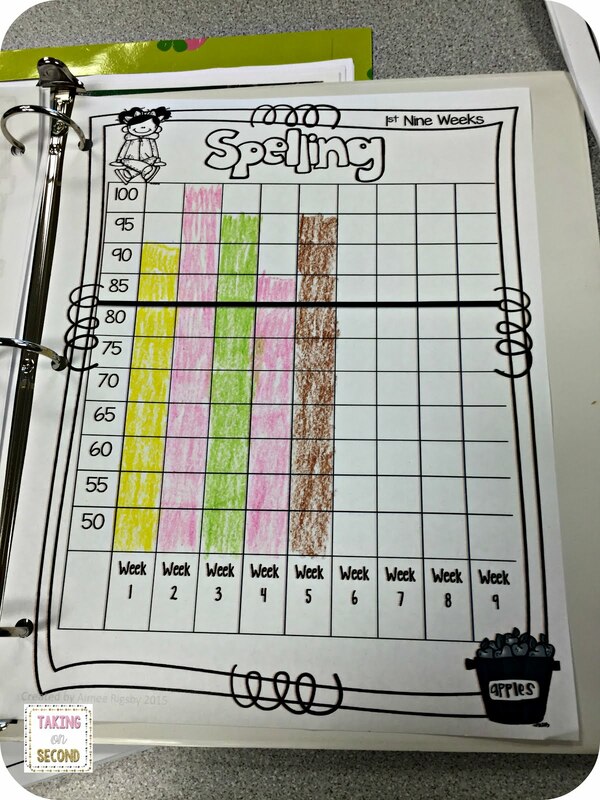 Head over to Classroom Friendly Supplies to check them out! 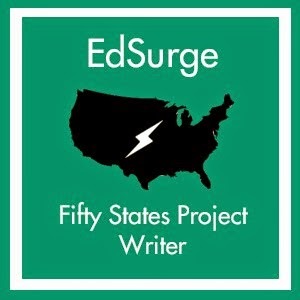 Five For Friday: Happy Fall!